MORGANTOWN, W. Va. (June 7, 2018) – With the 42nd annual Red Bull High Point National rapidly approaching, High Point Raceway announced today that Jamie Summerlin, a Marine veteran from Morgantown, West Virginia, and founder of the Morgantown Marathon, will be honored as the event’s Grand Marshal on Saturday, June 16. Summerlin will serve a vital role at the fourth round of the 2018 Lucas Oil Pro Motocross Championship, sanctioned by AMA Pro Racing, and will also be awarded as the High Point National “Moto Hero,” which recognizes the exemplary service of a military veteran each year. Summerlin is arguably most well known for his literal cross-country run in 2012, which raised much-needed funds for various veteran causes. 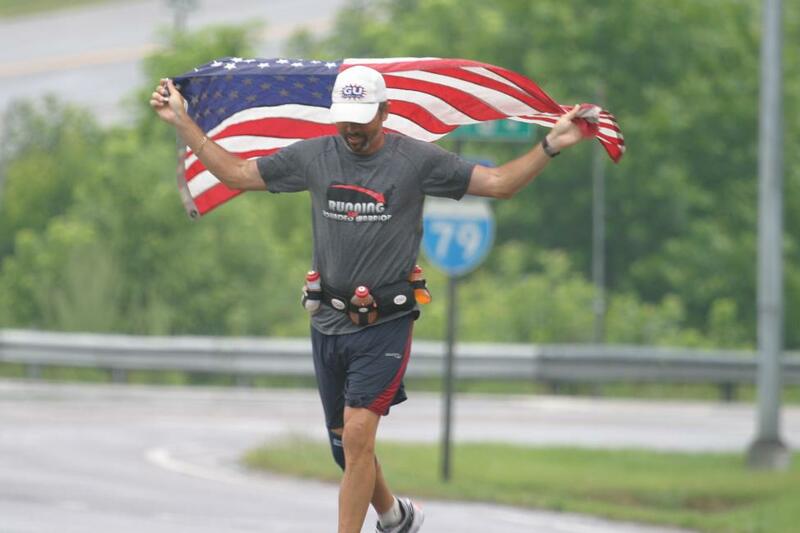 The “Freedom Run” across America covered 3,452 miles over the span of 100 days, and crossed 16 states on the route from Oregon to Delaware, during which Summerlin amassed almost 6 million total steps. 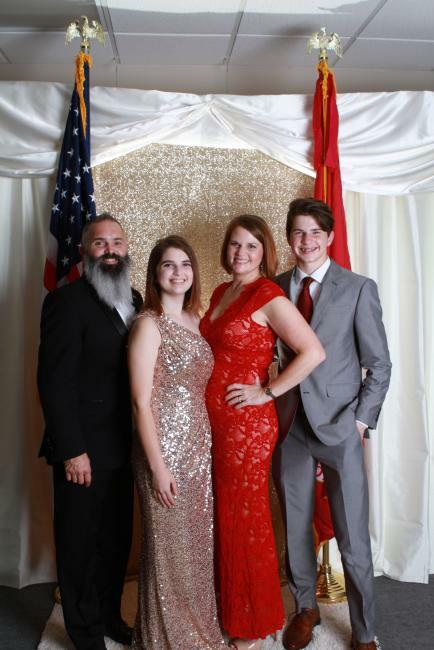 During his journey Summerlin paid visit to Veteran Affairs hospitals throughout the country, in addition to attending numerous ceremonies honoring veterans in towns both large and small. He even had the opportunity to address active-duty veterans at the Naval Academy in Annapolis, Maryland. In total, Summerlin’s run raised $50,000 for veteran-focused charities. As a result of his incredible philanthropic journey, which he documented in his book Freedom Run: A 100-Day, 3,452 Mile Journey Across America to Benefit Wounded Veterans, Summerlin was able to establish Operation Welcome Home, a veterans support group that assists in their re-entry into the workforce following active service. Since its inception in 2012, the non-profit has helped more than 420 veterans obtain full-time employment. Summerlin’s community contributions continued in his hometown of Morgantown, where he was inspired by his passion for running to establish a marathon. Working alongside the city’s leaders, the Morgantown Marathon was born in 2015, showcasing the scenic college town alongside the Monongahela River while also providing another opportunity to raise funds for Operation Welcome Home. In just four years the marathon has grown to include more than 1,100 runners and receive volunteer support from more than 500 individuals from around the world and across the U.S. The marathon continues to increase in popularity and is now one of Morgantown’s most anticipated annual events. The Red Bull High Point National kicks off on Saturday, June 16, with a full slate of action featuring the most talented riders on the planet in the world’s most prestigious off-road motorcycle racing championship. On-track activity begins at 8:00 a.m. ET with practice and qualifying, followed by opening ceremonies at 12:30 p.m. ET. Racing gets underway with a total of four motos across the 450 Class and 250 Class at 1:00 p.m. ET. Early Entry Pro Pit: $20 (9 a.m. – 12 p.m.) Must purchase Gate Admission. The Lucas Oil Pro Motocross Championship, sanctioned by AMA Pro Racing, features the world's fastest outdoor motocross racers, racing aboard the best bikes each factory offers, on the roughest, toughest tracks in the world. The 12-rounds series begins at Hangtown in May and ends at Indiana's Ironman Raceway in August. It includes stops at the premier motocross racing facilities in America, with events in California, Colorado, Pennsylvania, Tennessee, Michigan, Massachusetts, Maryland, Minnesota, Washington, New York and Indiana. The pro riders race on Saturday afternoon, with competition divided into two classes: one for 250cc machines, and one for 450cc machines. The Lucas Oil Pro Motocross Championship is managed by MX Sports Pro Racing, the industry leader in off-road power sports event production. The series is televised on NBC, NBCSN and MAVTV and streamed live on NBC Sports Gold Series partners include Lucas Oil (series title sponsor), Red Bull, WPS, Fly Racing, GEICO Motorcycle, MotoSport.com, Garmin, 100%, KTM, FMF, Deltran Battery Tender, Pirelli, Suzuki, Husqvarna, Pivot Works, Vertex, Alpinestars, KMC Wheels, MotionPro, VP Racing Fuels, Acerbis and Racer X. More information can be found at www.ProMotocross.com.